Whether you know your Balasana from your Samasthitith or not, yoga is a great way to meditate and rejuvenate, and like a great vacation we believe it should be done in style. Why settle for a west London studio when you can asana to the world? But forget the Ashrams and the retreats, of vegan diets and 5am starts, and join us as we look at our top hotels that promise a more luxury spiritual getaway. Trade in your yoga mat for a paddle board and your studio for the gentle lap of the Pacific Ocean to experience the yogic bliss provided at the Kahala resort, Hawaii. 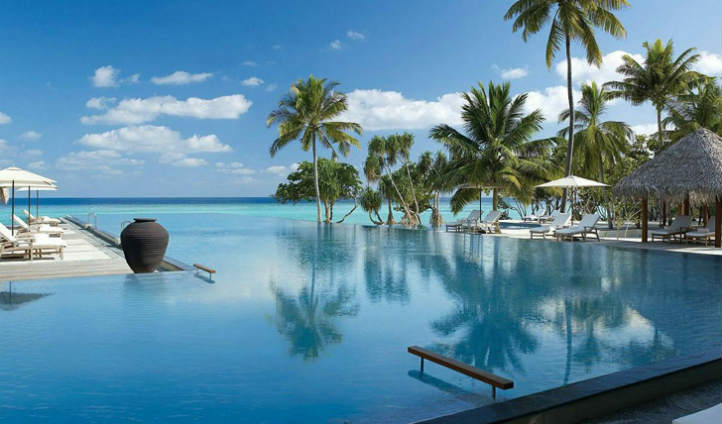 Situated in an exotic garden, complete with a private waterfall and dolphin lagoon, this beachfront resort is the perfect tropical escape for budding yogis. Offering challenging fusion yoga as well as Vinyasa, it is the innovative paddleboard yoga on top of the ever-changing sea that is not to be missed. The 19 room spa will guarantee your time will be spent at this Hawaiian paradise in utter tranquility, and each one of its luxury suites opens up to a spectacular view of the undisturbed Pacific landscape. 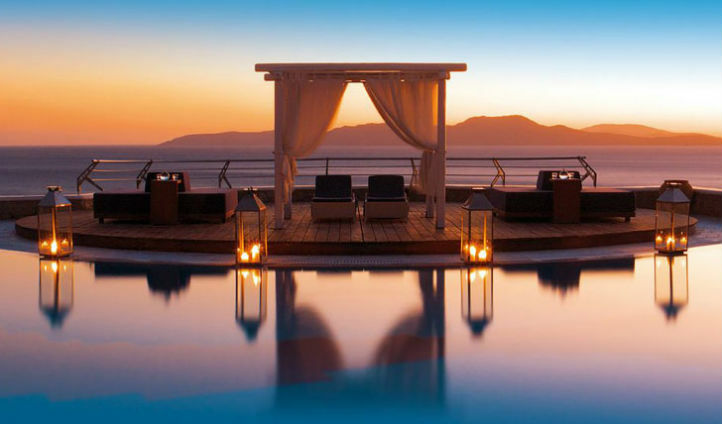 Those seeking an authentic experience will certainly find one at the Mykonos Grand, on the eponymous island. Practicing yoga under the hot Greek sun, encapsulated by the cool stone walls of its amphitheater is an inspiration and the experience has an air of simplicity. Stylish and elegant, with its classical Greek style, the Mykonos Grand is hidden away on the secluded Ayios Yiannis beach. The resort faces the sacred island of Delphos which is rumoured to be the birthplace of Apollo, providing a rather fitting direction to engage in sun salutations during your island stay. 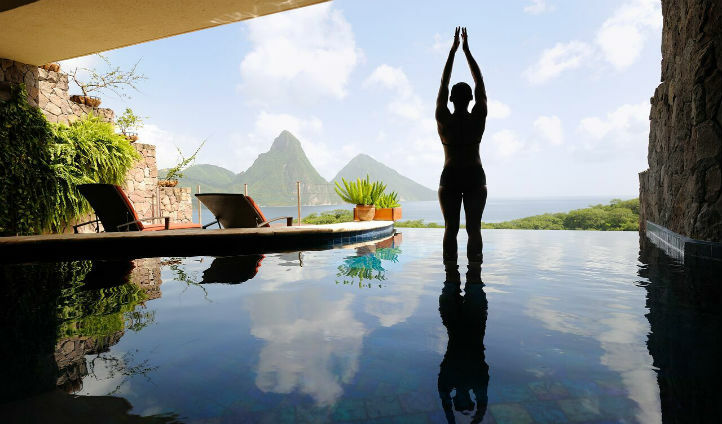 With each of its rooms a designated sanctuary complete with its own infinity pool, at the Jade Mountain hotel , St Lucia relaxation is taken seriously- as is yoga, so switch off your mobile phone and relax. A qualified residential instructor teaches a number of classes, all set against the stunning backdrop of the volcanic Pitons world heritage site making the classes and the view for everyone. The hotel itself is the architectural masterpiece of Nick Troubetzkoy and it inter-plays building and nature to create a labyrinth of wonder that you will not want to leave. As the birthplace of yoga, India has a host of spiritual wellness centers, but Ananda, at the foot of the Himalayas, is our firm favorite. Adapting the roots of traditional Hatha yoga around the individual needs, Ananda works with a strong awareness for the holistic wellness of body and soul. They achieve this through blending the traditional Indian wellness practices of Ayurveda, Yoga, and Vedanta into international wellness experiences and both yoga and meditation classes are offered in the tranquil foothills, bordered by the enchanting Sal forests. 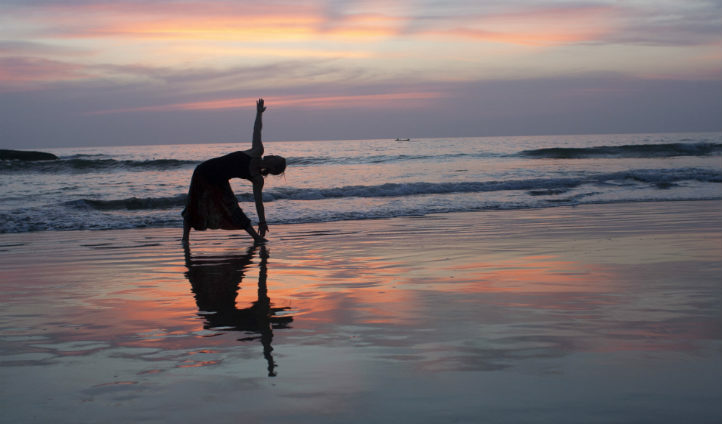 This is the ideal place for anyone wanting a real and healing yoga experience. 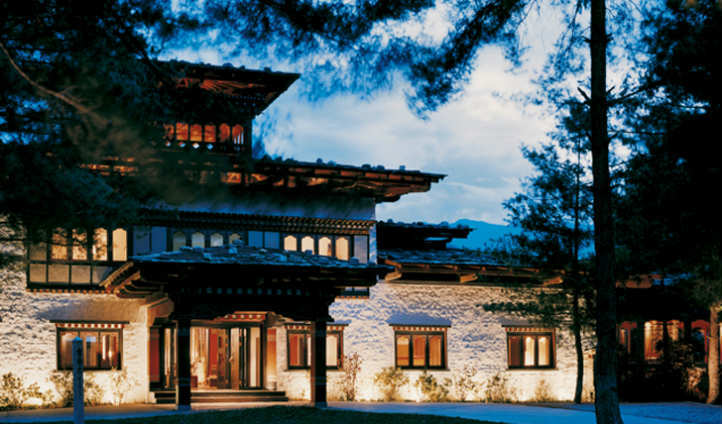 The second hotel of our selection to be wrapped in the magic of the Himalayas, Uma by COMO in the Paro Valley is in at an ideal tranquil locality to embrace the meditative heart of yogic practice. A personal yoga instructor will oversee your schooling and guides are available to lead treks into hermetic meditation camps higher up in the Himalayas. With the legendary Tiger’s Nest monastery only a pilgrimage away, it is impossible to escape the incorporeal nature of Bhutan yet nor will you want to.